This booklet is part of a series of compilations assembling PANORAMA solution case studies on a defined topic. 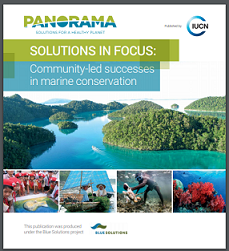 “Solutions in Focus” zooms in on a topic of interest covered by PANORAMA, allowing to explore common elements and shared learnings across success stories. It is a snapshot of the PANORAMA portfolio at a given time, rather than a representative assembly of selected “best practices” on the issue at hand.